SOS Outreach Guide Alastair Keith helps the kids unpack their backpacks during the Intro to Backpacking course. The kids hiked in to learn what it was like to backpack, spending two nights in the wilderness. With the onset of summer comes another season of adventure for the youth in SOS Outreach. Here at SOS, we do one thing — help kids gear up for life. Grounded in outdoor experiences, our program ignites a passion for adventure, inspires the courage to try something new, and instills lifelong lessons and skills in our kids. 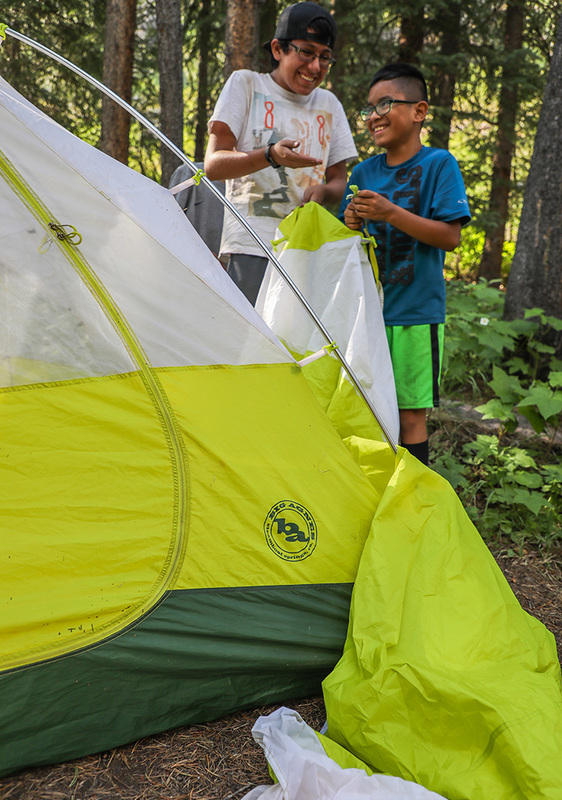 Summer is an incredible season to spark a passion for the outdoors and provide a point of connection for our youth to get involved. 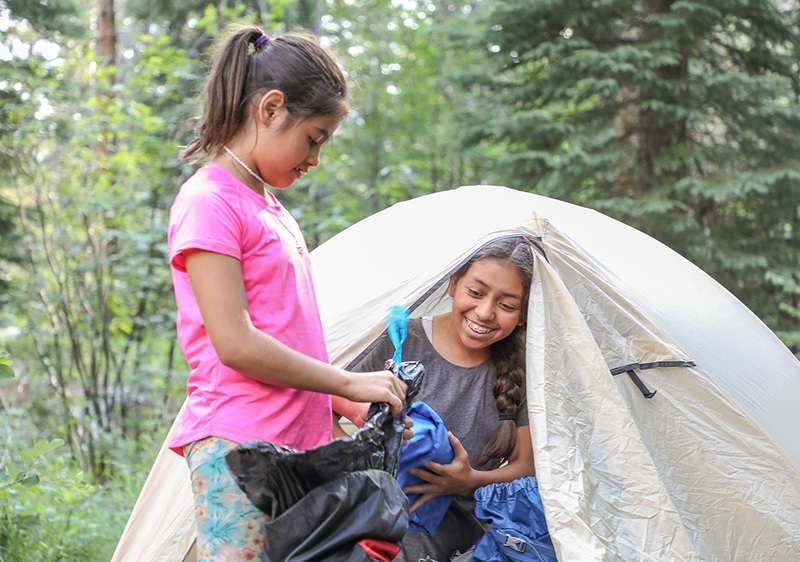 Thanks to Big Agnes, who has been supporting our programs for over a decade, we are able to make this connection to the outdoors possible for youth regardless of background, ethnicity, or financial limitations. SOS programs aim to give youth the opportunity to learn about and enjoy outdoor adventure sports, like backpacking, that they may not otherwise be introduced to. 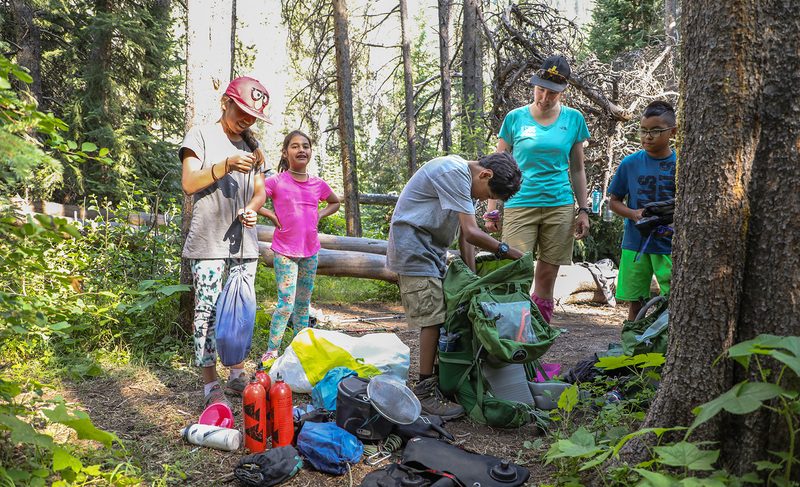 It starts with gearing up for all the mountains have to offer, but in these moments we’re not just teaching kids to hike, climb, paddle, and camp. Our kids learn to connect with their peers, mentors and community, all of which help them discover an unknown side of themselves – a side that can do anything, especially overcome their circumstances and come out on top. Two young backpackers setting up their backcountry-home for the night while also following Big Agnes’ number one rule of backpacking – have fun! With a brief window between winter and summer programming, the SOS team is currently hard at work making preparations for the upcoming season. First on the schedule is the annual Fourth Grade Colorado National Monument trips for nearly 220 Eagle County youth. Throughout the month of May, seven local fourth grades will participate in four-day, three-night camping, hiking, and rock climbing experiences. This trip allows students to visit the Colorado National Monument, explore local museums, and study the geology and natural history of Colorado while enjoying the outdoors. Big Agnes’ contributions enable SOS to provide these youth with high-quality tents and sleeping pads to make their experience as enjoyable as possible. This is especially important because for many of our youth, sleeping in a tent will be a totally new experience! Following Colorado National Monument trips, we’ll jump feet first into summer programs, through which over 400 youth will engage in rock climbing, paddle boarding, camping, mountain biking, rafting, and backpacking adventures across the country. Big Agnes’ generous contributions also help SOS in hiring NOLS-certified guides for our summer programs, which are crucial in providing safe and educational immersions into the backcountry. At the guidance of SOS’ highly experienced guides, many SOS’ers will experience many firsts in the outdoors this summer. 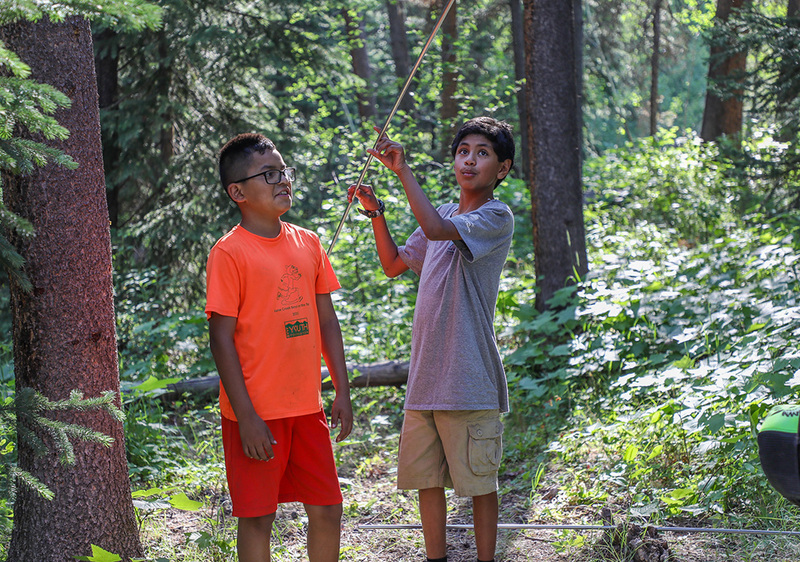 Whether it be an afternoon rock climbing or an overnight camping experience, we are fortunate to be able to make adventures safe and enjoyable as they hone their outdoor exploration and stewardship skills. 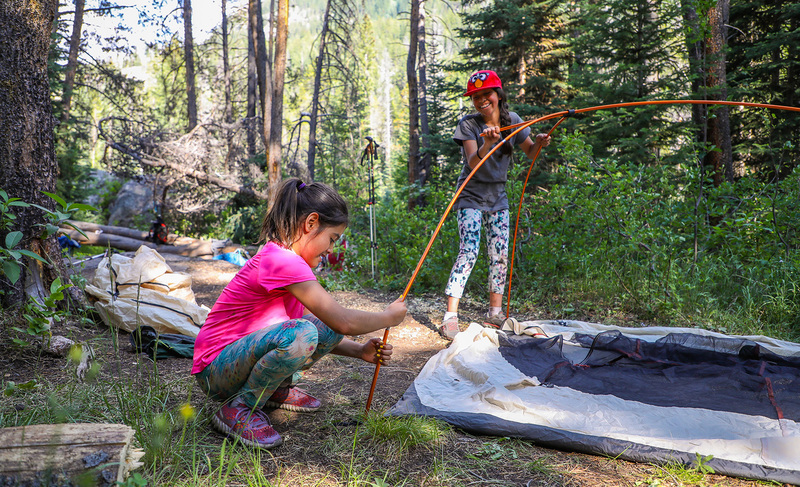 Teamwork is important when setting up camp in the backcountry, and SOS not only teaches youth how to backpack successfully, but also how to enjoy the outdoors while building friendships. Recently, we were able to sit down with two of our participants, Alison and Kelly, who have been in SOS programs for seven years to ask them about their experiences in the backcountry. Do you think you would have gone backpacking without SOS? A: I definitely wouldn’t have gone backpacking without SOS! It’s not really something my family does or is interested in. K: I’ve been backpacking once, but never to the remote areas our guides took us. One summer we hiked out to a beautiful lake in the middle of nowhere, and I have wanted to go back ever since! 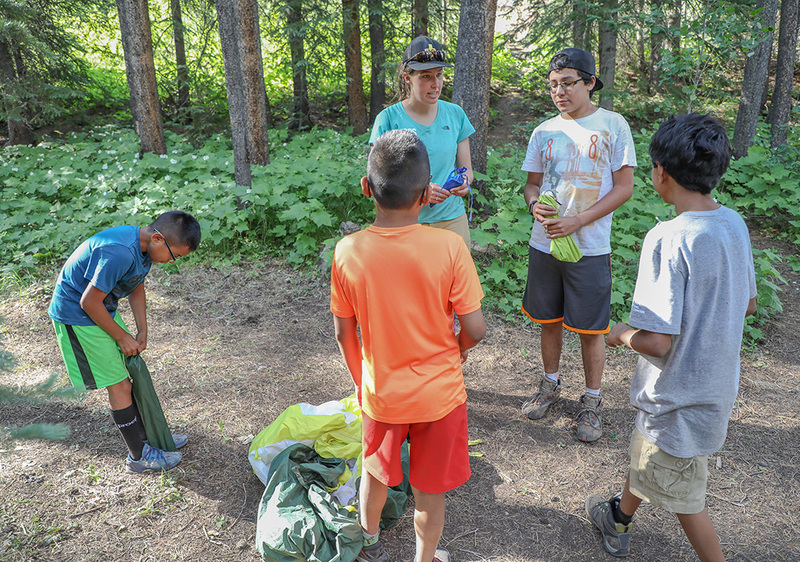 During the Intro to Backpacking course, the kids took day hikes and learned about the backcountry with three guides from SOS Outreach. Most of the gear was donated by companies to help kids not only appreciate backpacking, but also the backcountry. What lessons did you learn through your summer experiences with SOS? A: Teamwork! The uphill parts were hard, and going down the rocks were slippery, but the number one lesson I learned was teamwork. K: Definitely. On one of our trips it was raining on the hike out, so all of the stream crossings were pretty scary. We had to help each other walk over logs in order to get to the other side. Because of the weight of our packs, we needed to grab the arm of the person behind us to help get them across. Joselin and Michelle set their backpacking tent up after a long day hiking the Cross Creek Trail. The kids were given instruction on how to put up the tent, but most of it was figured out on their own. How did you use the SOS core values (courage, discipline, integrity, wisdom, compassion, and humility) during these trips? A: For me, I definitely used courage, because I forced myself to talk to the other kids on the trip, which I don’t normally do. Through these trips, I learned that it’s good to talk to different people because it helped me make a lot of friends and made it so that I enjoyed my time in the outdoors, rather than just complaining the whole time. It’s easy to smile when you’re enjoying the outdoors with friends, just don’t forget to bring enough snacks to share! Do you want to say anything to Big Agnes? K: Thank you for the tents, pads, and sleeping bags! They helped keep us warm and comfortable in the wilderness! A: Seriously! Especially when it rains the whole trip! On behalf of everyone at Big Agnes you all are very welcome! We understand how important it is to be comfortable in the backcountry, and are proud to support SOS Outreach and their mission to bring outdoor adventure to the youth in their community. Happy trails! SOS Outreach is an organization of compassionate and dedicated people who provide mentorships and instill lifelong values to under-served youth. We positively impact our kids by engaging them in outdoor sports, ultimately empowering them to shape their own futures. 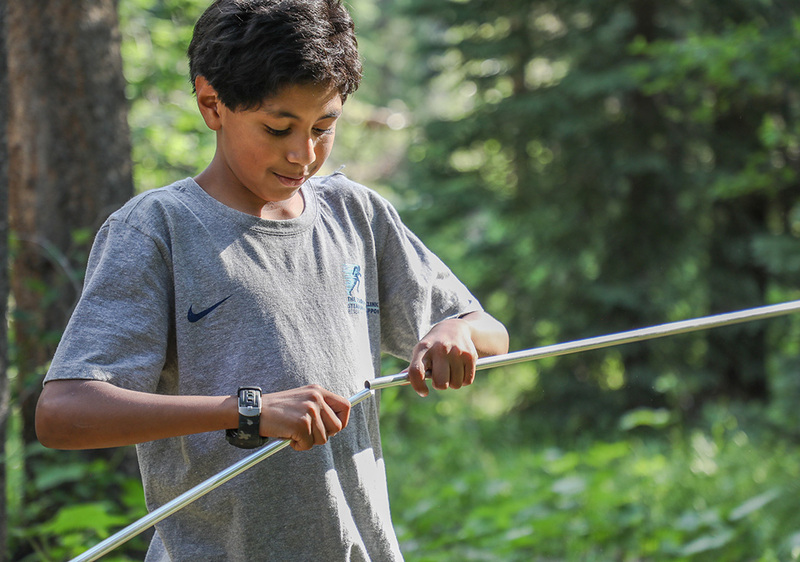 Through volunteer work, donations, and community involvement, SOS provides local youth with opportunities to grow in the outdoors and build relationships with peers in their community. If you would like to share your passion for the outdoors see how you can get involved here!